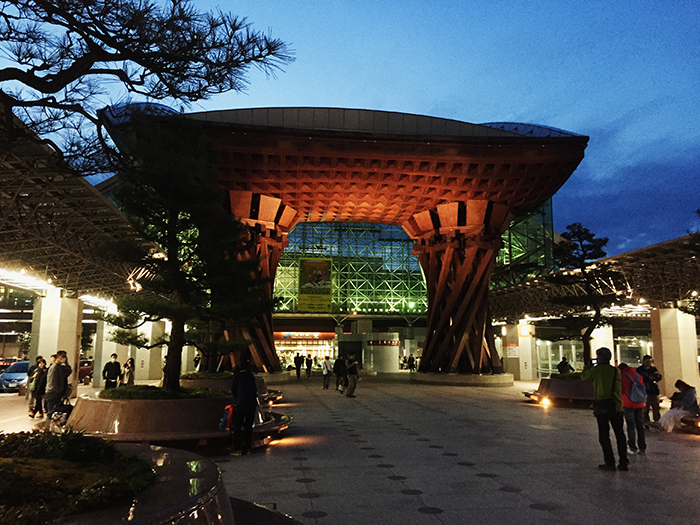 Kanazawa station is certainly one of the most interesting I’ve ever been to. Glass is used to perfect effect in order to let in the light. The gate in front of the station echos the torii seen in front of shrines and temples all across Japan, yet with a very modern design.